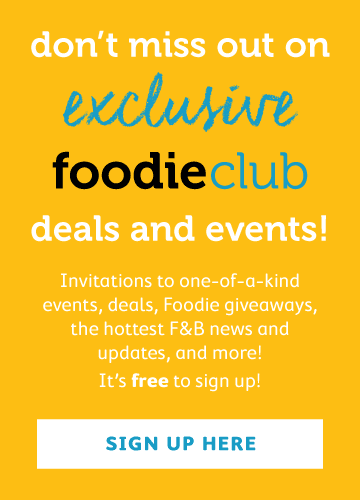 We are celebrating our 1st anniversary of launching the new Foodie community - let's see who the top writers are! It's been a year since we turned Foodie into a social community, where anyone can join in and share their thoughts, stories and news. We have had thousands of foodies from hundreds of cities across the globe get involved, but as we are looking back at the year, we wanted to highlight the top 5 community contributors (based on total pageviews of all articles). "Nibbling the sacred cheese of life"
The below is the most popular article of Hillary's, pulling her way into the lead! Other classics include the A-Z list of foods from Hong Kong, and more - be sure to check out her awesome writing and hilarious take on food and dining around Hong Kong. This review of the new-ish Munchies snack shop, among other reviews helped keep the articles about food spotted by spotthefood spotted (end confusion). Faye rocked in the views with some interesting adaptations of top lists, including this list of 'so called' dodgy places and the great foods that reside there. Food blogger bringing you foodporn and ideas for dining in and out. TST is one of the hottest locations in Hong Kong, especially for dining. It's no surprise her top article killed it, with its core focus being on lunching for under $100, we now challenge Lolleroll to do another guide for dining under $50. Writer based in HK. Eats everything but celery. Those of us who have friends around the world know that each time they visit HK, we're sucked into late nights/early mornings of drinks and debauchery. But where do we take the first timers? Yalun's top article has some tips for you, but don't miss out on his running series of dating and dining in Hong Kong. Do you want to be in the top 5 of 2016? Head here and sign up to begin writing! Happy Year of the Monkey! Now get out there, eat and share!